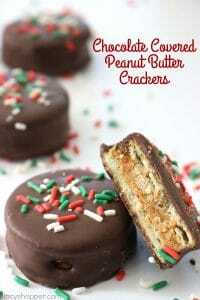 Since these Chocolate Covered Peanut Butter Crackers are made with just 3 ingredients, they are so simple to make. 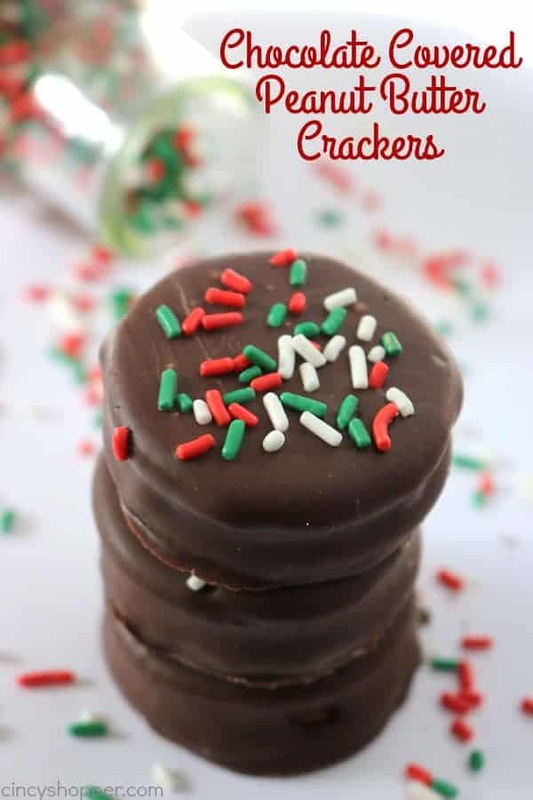 Perfect for a quick and easy Christmas candy treat. 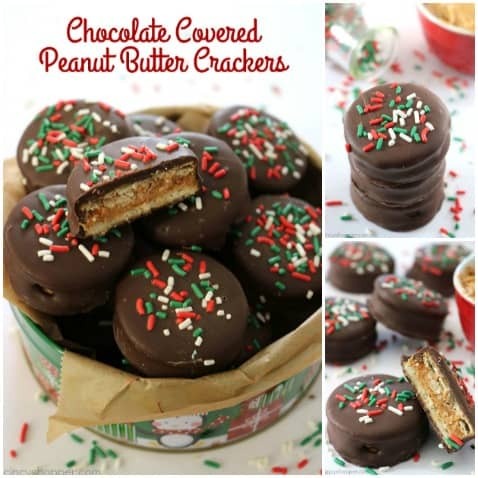 Oh… they are great for a homemade candy gift too! Simple christmas candies are always a must around my house. I like whipping up special treats for the hub and kiddos during the holiday time. 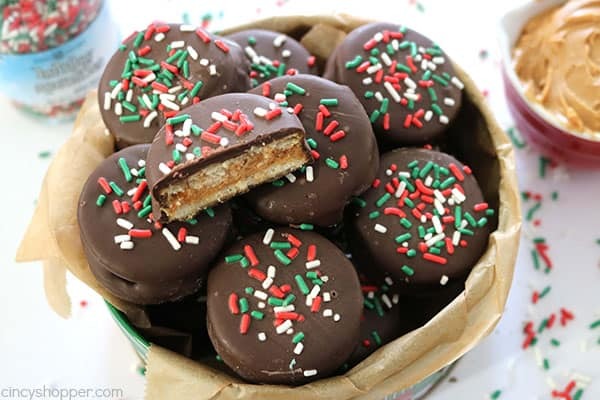 I also like having easy homemade treats to gift to family and friends. 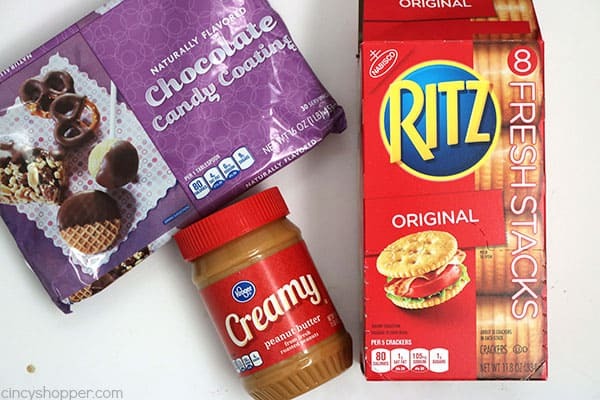 These Ritz Chocolate Covered Peanut Butter Crackers are always a hit. I keep lots of melting chocolates in the pantry during the holidays. 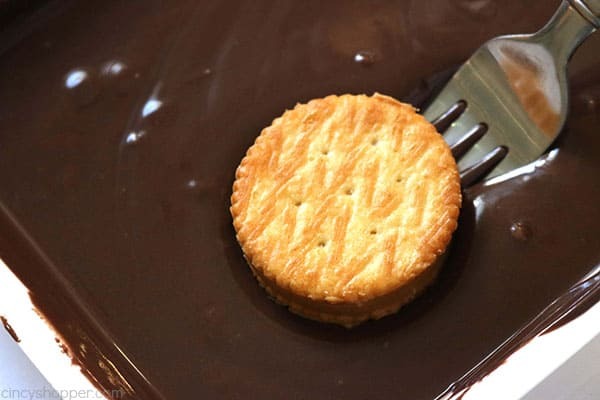 The Kroger melting chocolate trays are my favorite because they are so quick, require no effort, and I can toss them in the trash when we are done dipping. I always have peanut butter and crackers, they are a staple at our house too. For such a simple treat, these little guys pack some amazing flavor. You have sweet and salty at the same time. 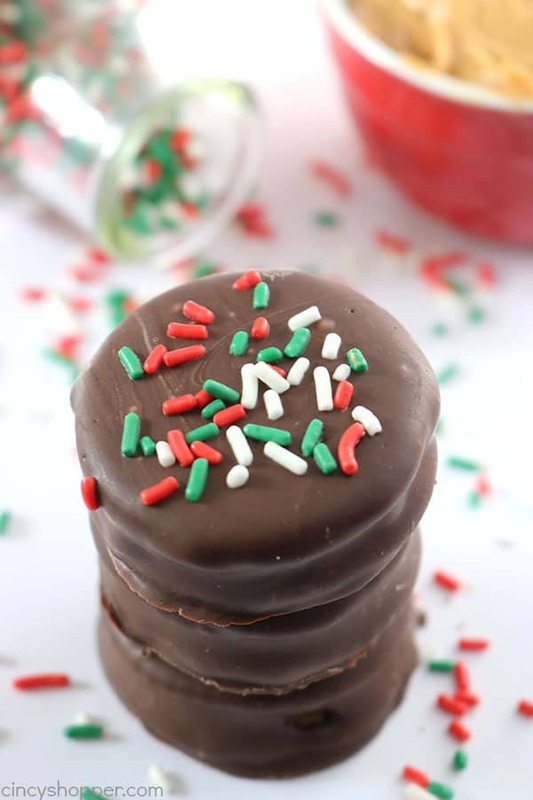 I toss on some holiday sprinkles and they become such a cute Christmas candy. I can whip up a batch so quick. When I am gifting them, I just place some parchment paper or tissue in an inexpensive tin I purchase from the Dollar Store and toss them in. I love that the gift is homemade and is so inexpensive. 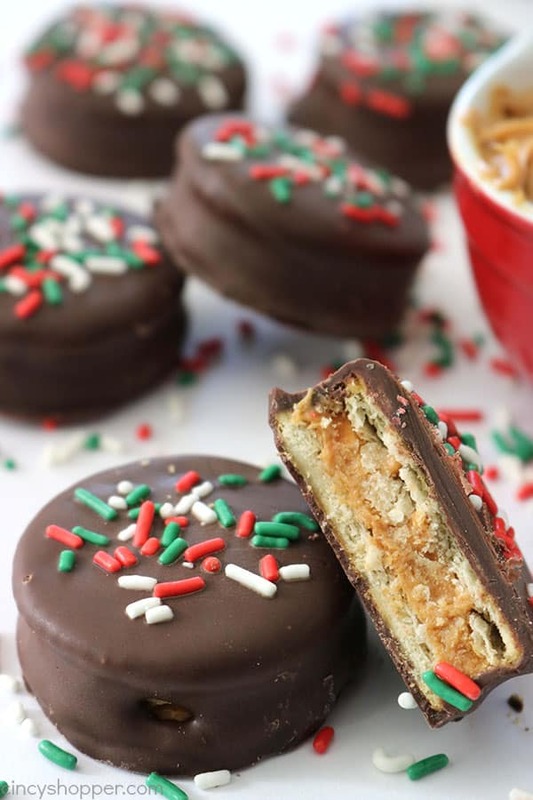 All that is needed to make these tasty treats is some Ritz crackers, peanut butter, and some melting chocolates. Sandwich some peanut butter in between two crackers, dip, and sprinkle with some festive sprinkles. So EASY! Prepare cookie sheet by lining wih wax paper. Set aside. 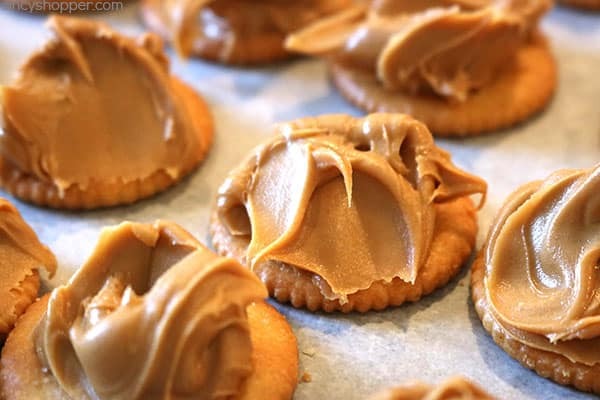 Spread each of 12 crackers with 1 teaspoon peanut butter on salted side. 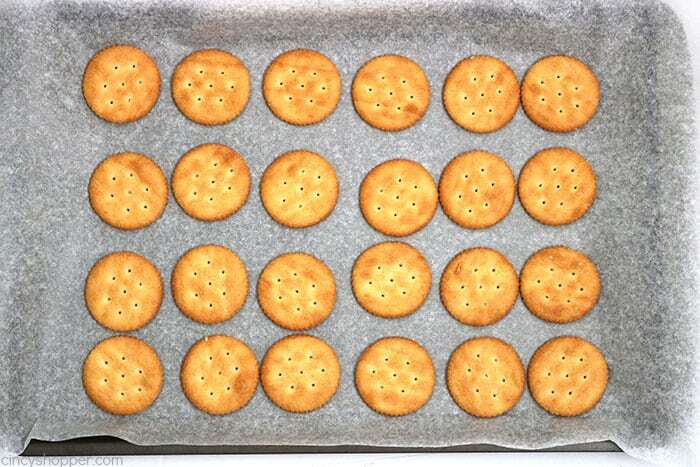 Top each with another cracker placing salted side to peanut butter. 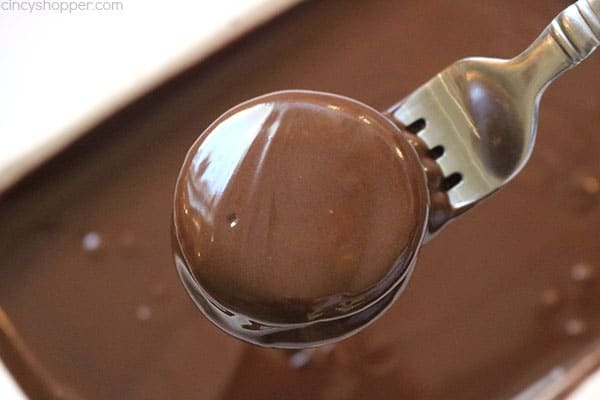 Melt chocolate in microwave by heating for 30 seconds, the stirring and repeating until melted. 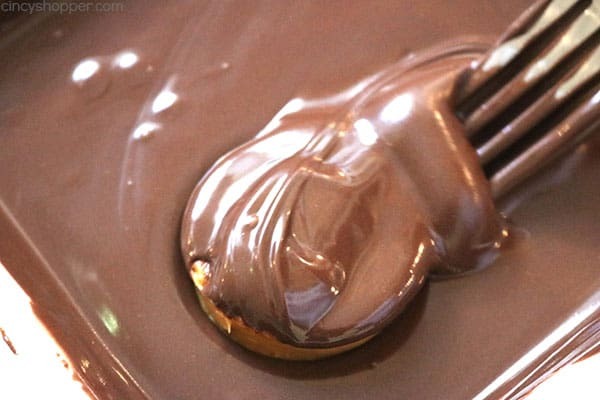 Dip each in chocolate and flip to cover both sides. Allow to set (refrigerate if needed). 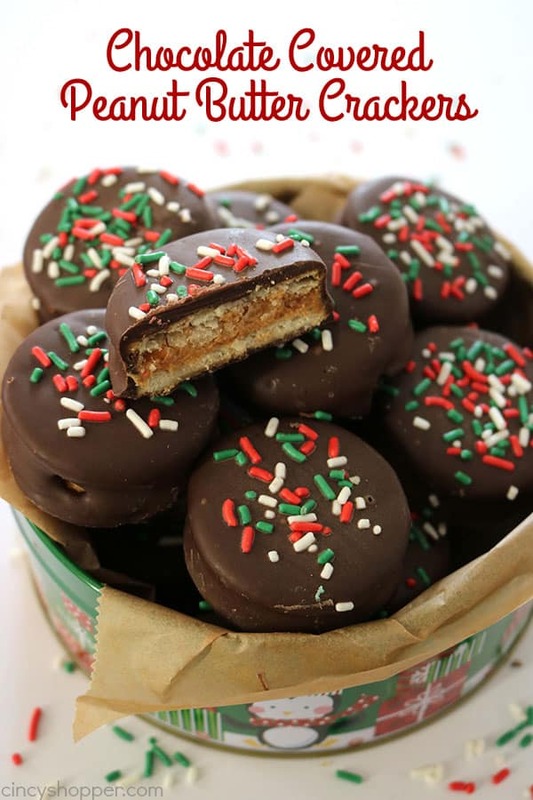 Do you have a favorite quick and easy holiday candy that you gift for the holidays? 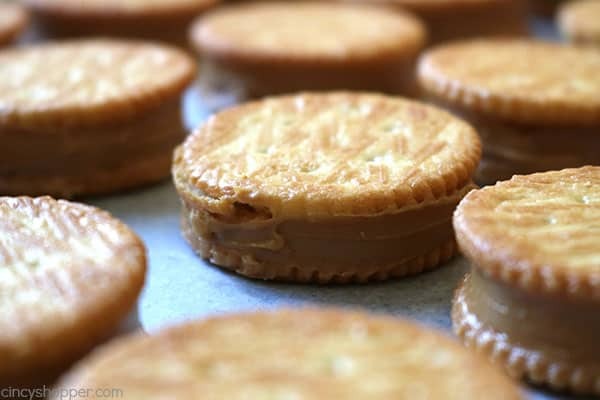 Since these Chocolate Covered Peanut Butter Crackers are made with just 3 ingredients, they are so simple to make. 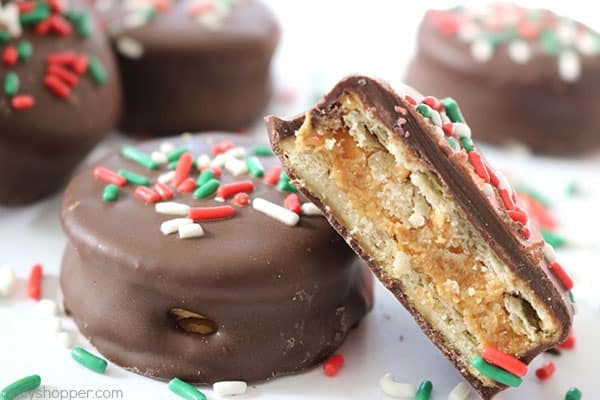 Perfect for a quick and easy Christmas candy treat. Oh... they are great for a homemade candy gift too! New to your site, I’m a 51 yr old bachelor (divorced) and your recipe’s look great!! I’m anxious to try some of them out.